This project exemplifies our team’s ability to completely re-architect and redesign an out-of-date website. NAAA wanted to improve their web presence to give their members online self-service and premium content. The old site had no content strategy or visual appeal. 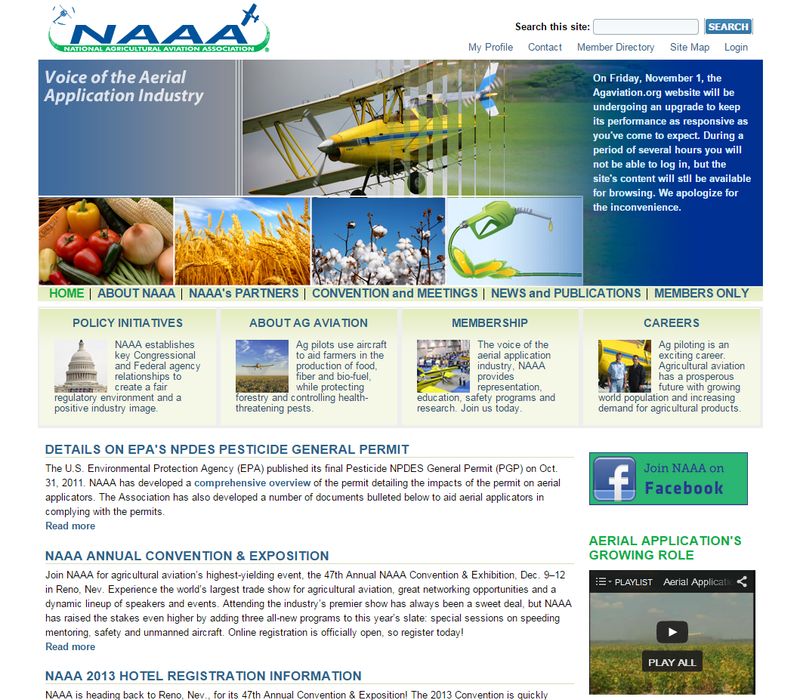 The advocacy provided by NAAA had minimal visibility on the site, while being a prime benefit of membership. We fully integrated with CiviCRM, an association management system providing all member management needs including a directory, membership purchase and renewal, event registration, subscriptions and an educational management tracking system. The job board allows pilots to post that they are looking for jobs and operators to post that they are looking for pilots. The application requires a valid member login to post jobs or view premium content.